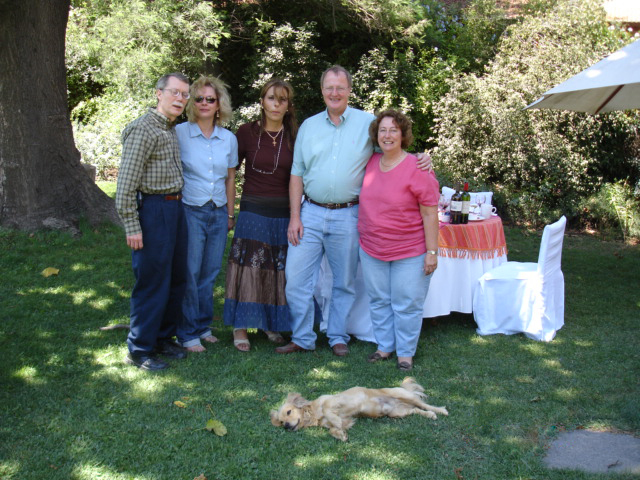 In January 2007, Charlie and I, plus our good friends Terry and David, spent 2+ weeks in Chile and Argentina. 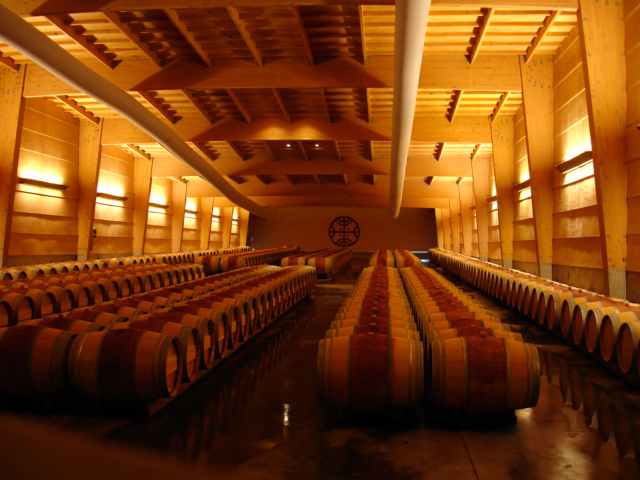 The objective of our trip was to visit top flight wineries, meet with the winemakers when possible, and taste the best wines each of these wineries had to offer. 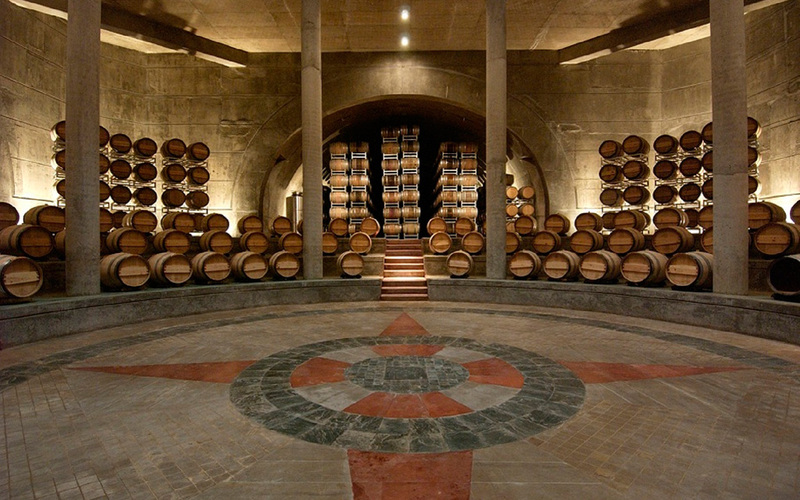 The trip was arranged through Brian Pearson of Santiago Adventures (now Upscale Travel) (http://upscapetravel.com/our-experiences/food-wine/). 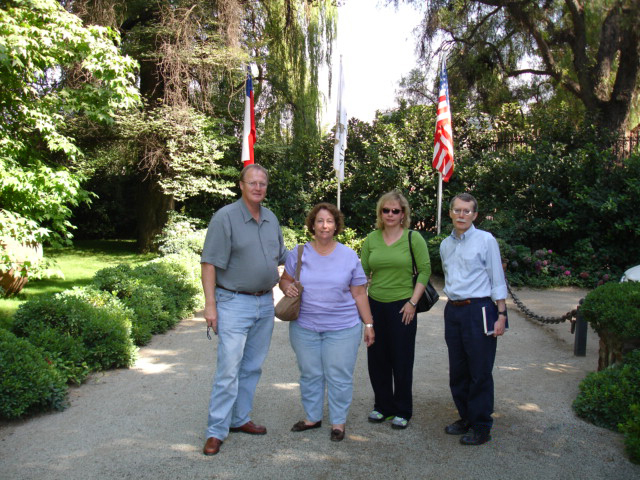 We had a private guide and driver for Chile (Jean Albert Rauld/Bernardo), as well as for Argentina. You should contact Brian if you are planning a trip to either of these countries, as we had a fantastic trip! 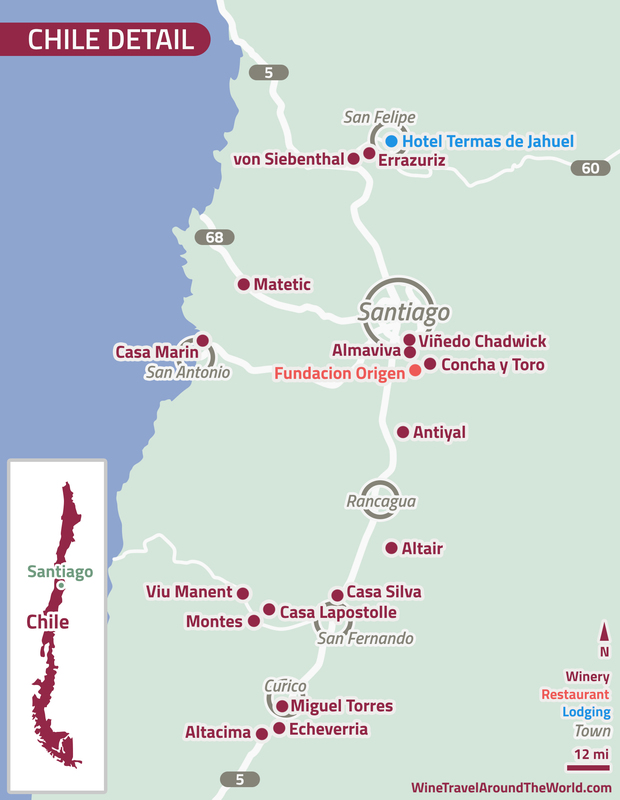 We flew into Santiago, and started our journey from there. 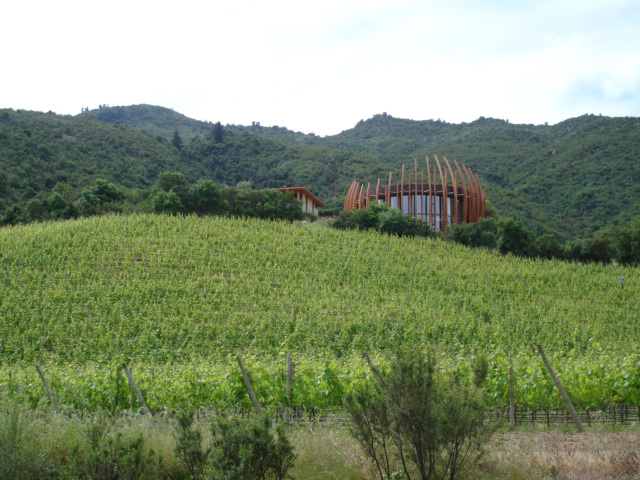 While in Chile, we also visited Valparaiso and Viña de Mar. 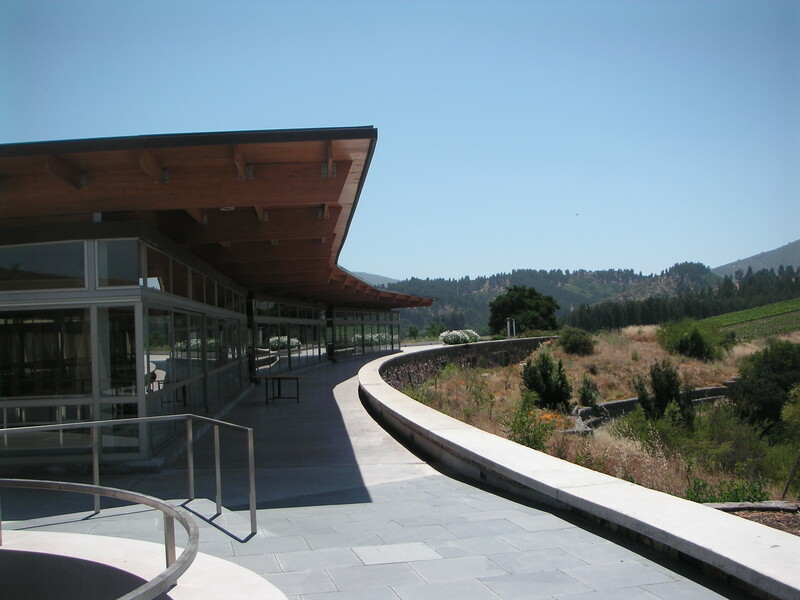 Below are the wineries and wines we tasted, and my notes (albeit brief) on each of these wines. 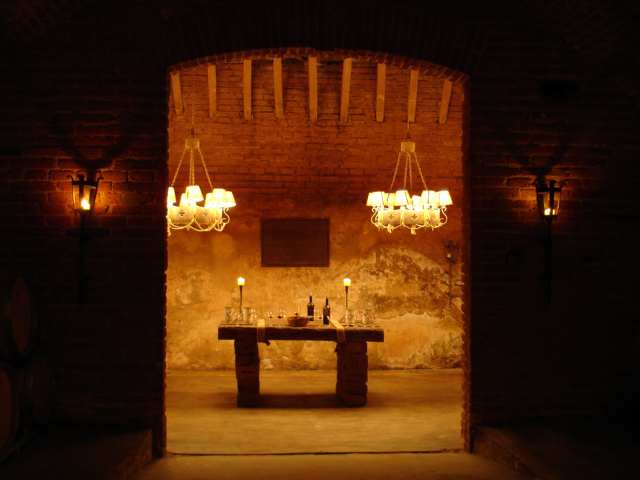 I have indicated my favorite wines with a “buy” following the wine’s description. 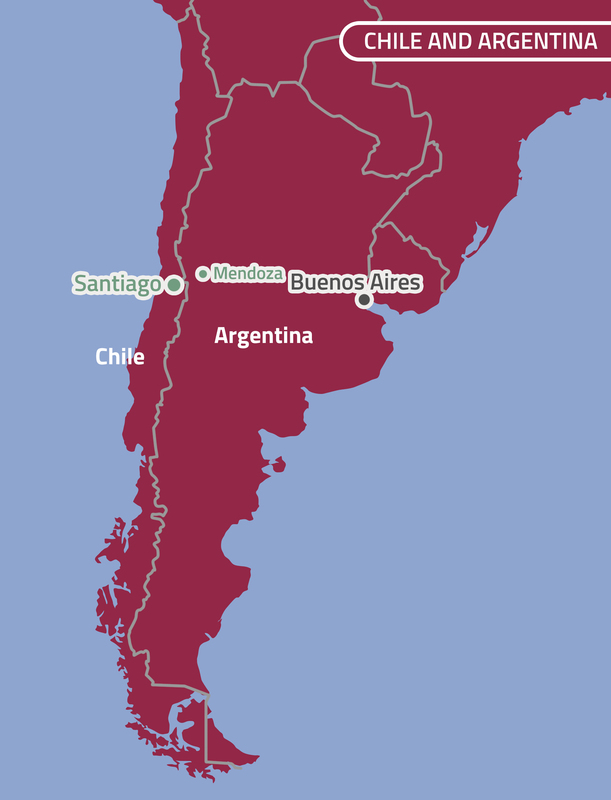 CHILE (But, if you want to read about Argentina first, click here). 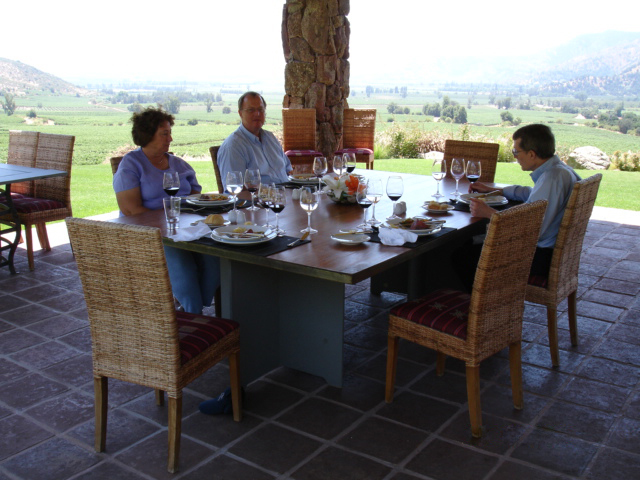 After Almaviva, we had a wonderful lunch at Fundacion Origen (http://fundacionorigenchile.org/eng/), an organic agricultural school in Pirque. This was a recommendation from Brian that I was somewhat skeptical about. 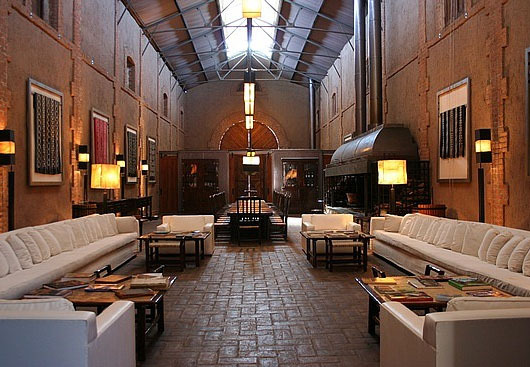 However, we were treated like royalty by all of the staff, and we could not have enjoyed our visit and lunch more. 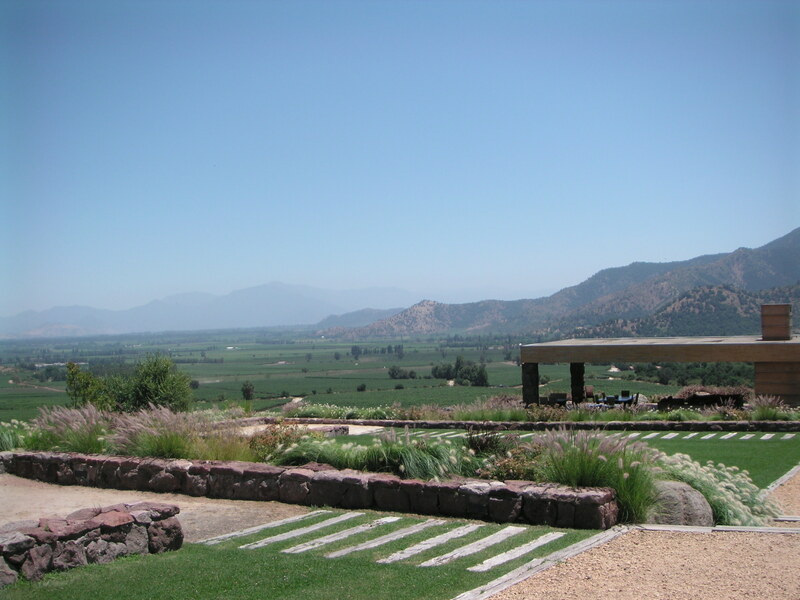 Antiyal (http://antiyal.com/) in the Maipo Valley; fantastic visit with Marina Espinoza; Marina’s husband, Alvaro, is the winemaker, and both own this small organic, biodynamic winery. 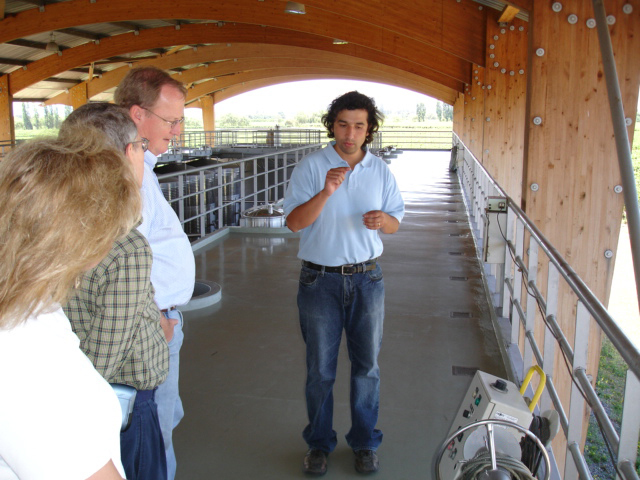 We are now experts on biodynamic farming thanks to Marina! Casa Silva (http://www.casasilva.cl/home) in the Colchagua Valley; we tasted some of their wines, but nothing really stood out. 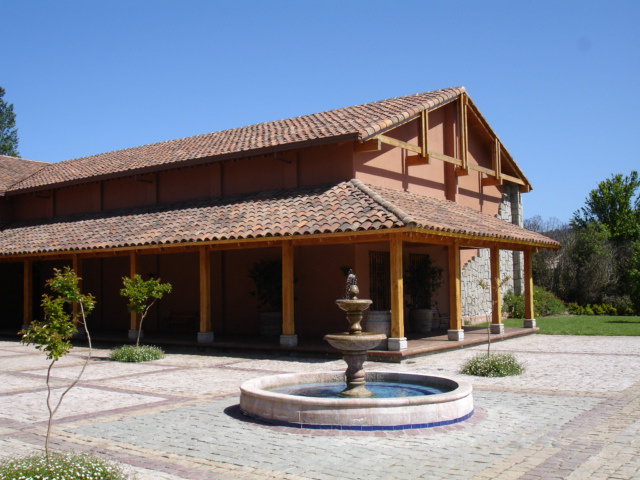 We did stay several nights at Casa Silva, and I would highly recommend it for lodging. 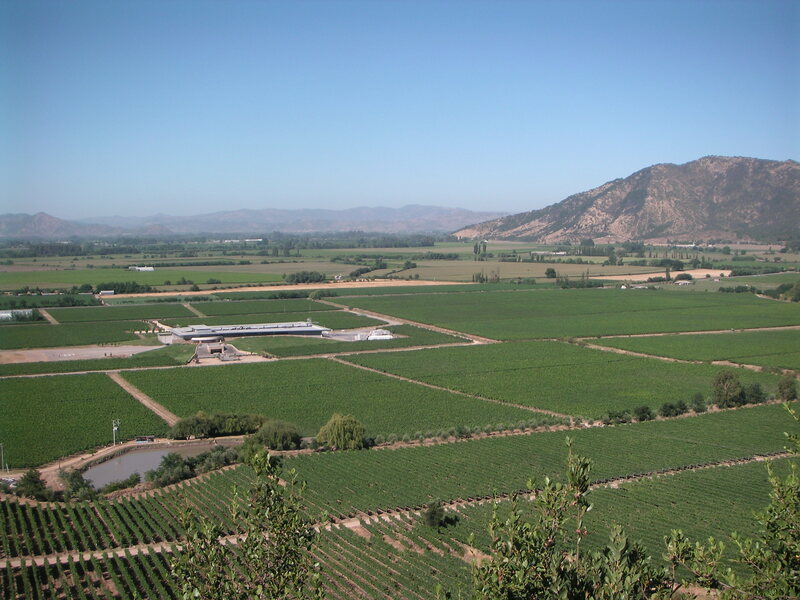 Montes (http://www.monteswines.com/en/our_history_the_beginning_of_our_adventure.php) in the Colchagua Valley; visit included a jeep ride up to the mirador on the hillside overlooking winery. 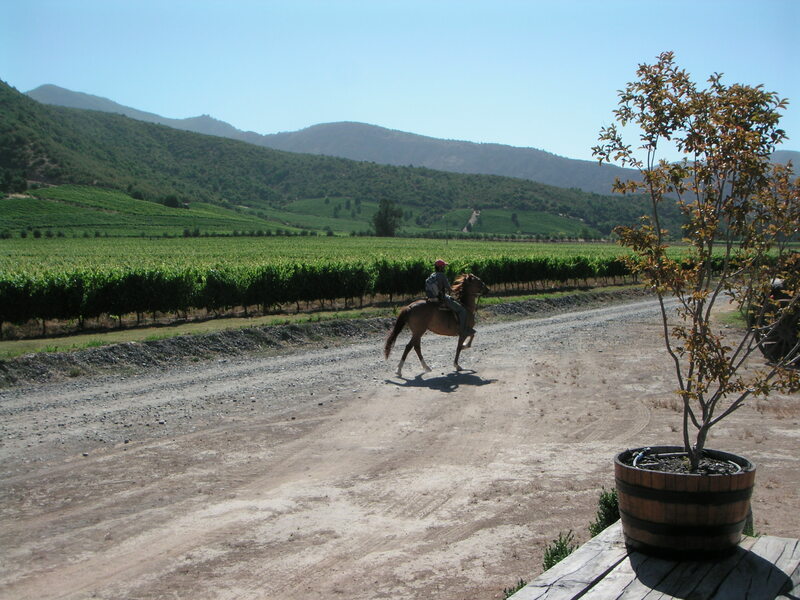 the vineyard manager is off to check the vineyards! 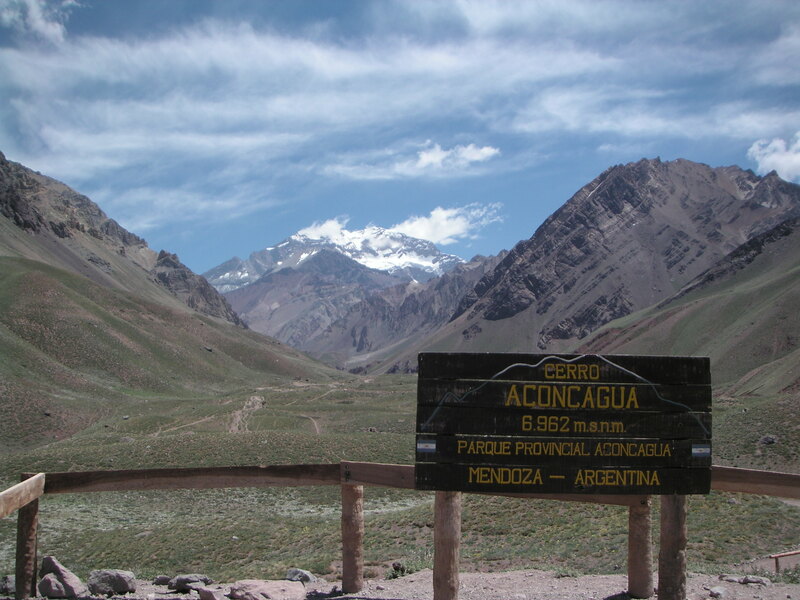 While we were in the Aconcagua Valley, we stayed at the Hotel Termas de Jahuel (http://www.jahuel.cl/2013/index.php#!/pageHome). 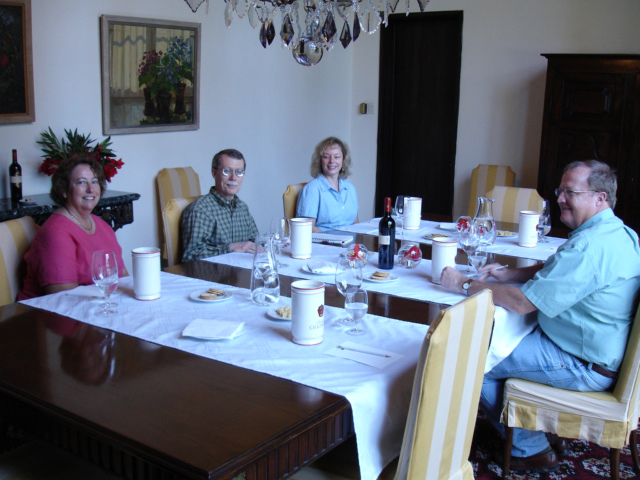 During our stay, Brian had arranged a tasting of wines from von Siebenthal (http://vinavonsiebenthal.com/visit_us.html). 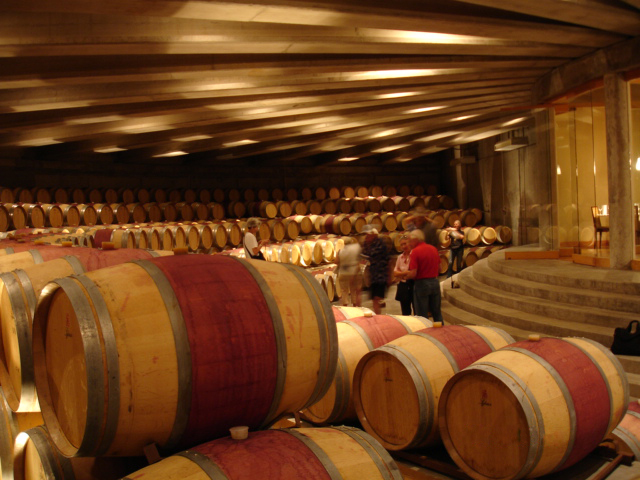 Since the winery was closed for a pre-harvest holiday, Brian had the wines brought to the hotel. 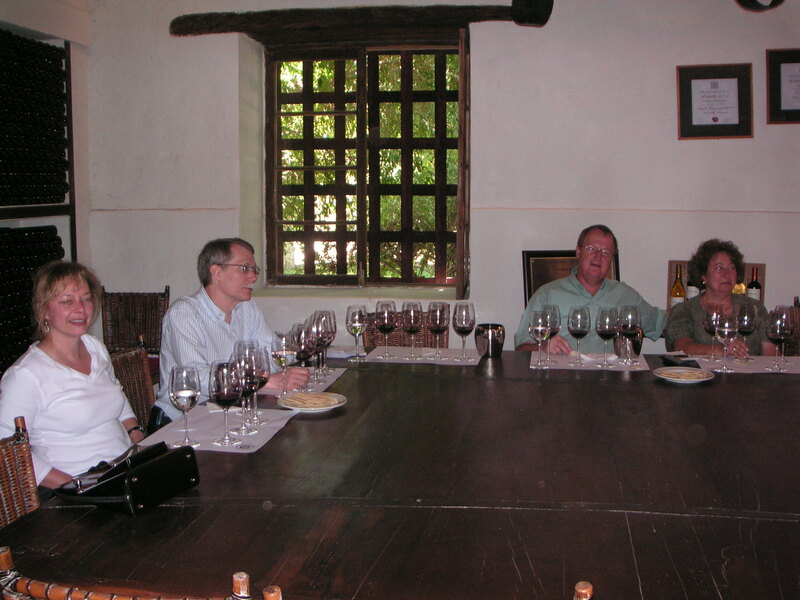 We tasted the Parcela #7 2004, Carmenere 2005, Carabantes 2004 and Montelig 2004, and all were enjoyable. 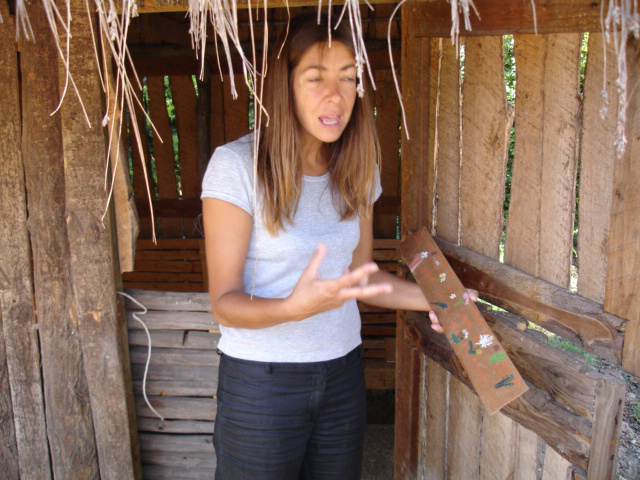 Achaval Ferrer (http://achaval-ferrer.com/) in the Lújan de Cuyo. 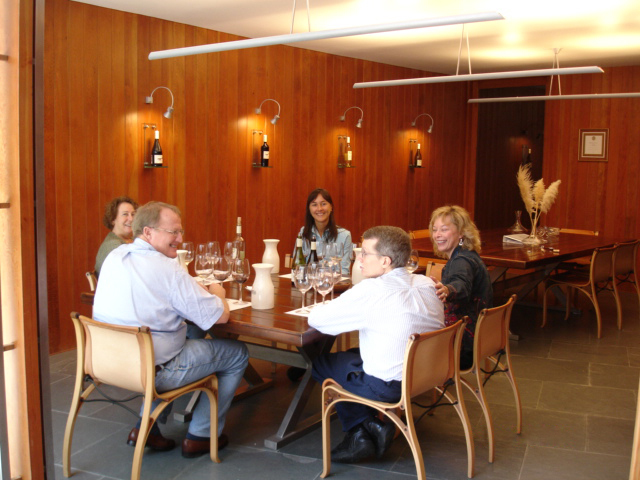 I expected this to be a great visit and tasting, based on my direct communications with Santiago Achaval and Patricia Lambert. I was very much disappointed. 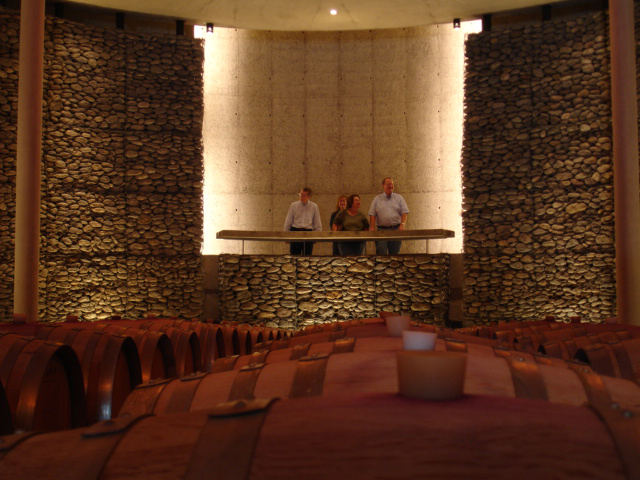 A relatively new tourism person gave the tour and we tasted primarily barrel samples of some of the components of the 2006 Quimera, as well as a barrel sample of the 2006 Mirador and 2006 Altamira (all while standing in a small barrel room). 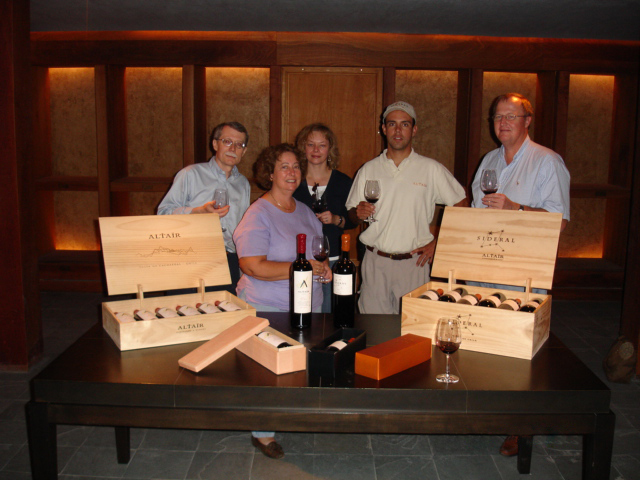 The only bottled wines we tasted were the Mendoza Malbec 2005, Quimera 2004 and the 2004 Dolce. 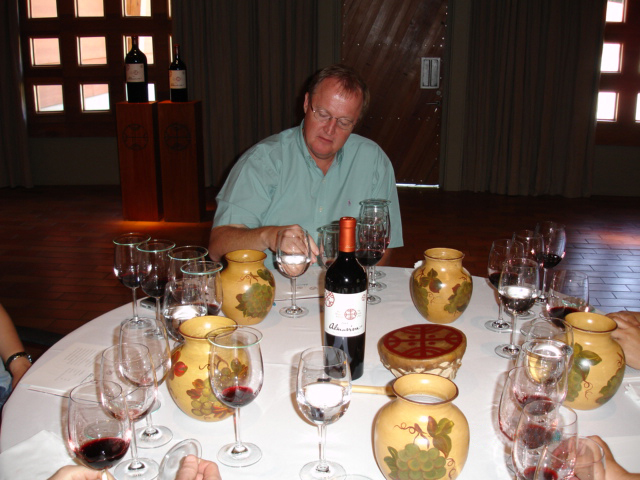 I did think the 2004 Quimera was excellent. 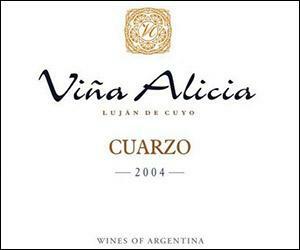 Malbec 2003 and Cuarzo 2004 (petit verdot/carignan/grenache noir) – both of these wines were excellent, and were wines I immediately sought out to purchase upon returning home. 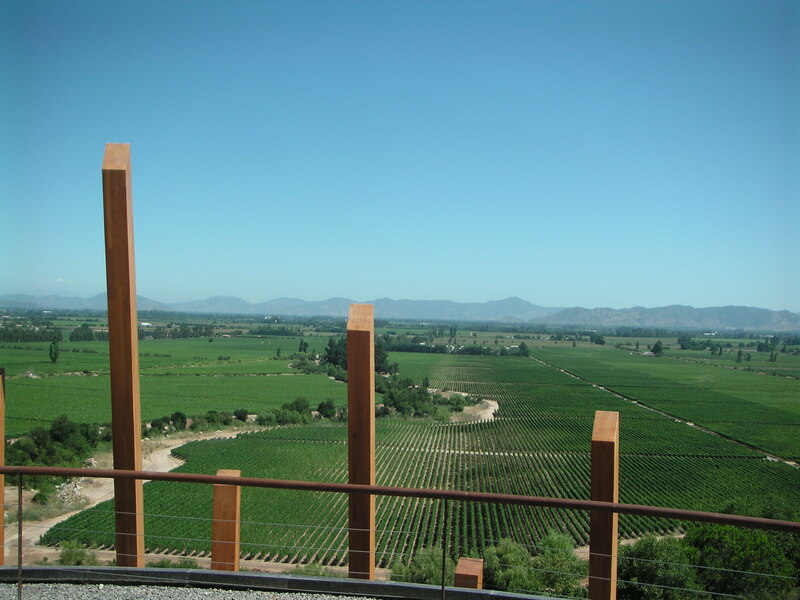 We also had the Cuarzo 2003 at Cabana Las Lilas on the last day we were in Buenos Aires, and like the 2004, it was excellent. I highly recommend these wines! An interesting footnote to our visit happened a few years later. Laura Catena was a guest poster on the Robert Parker bulletin board, and I wrote her and told her what a poor visit we had. 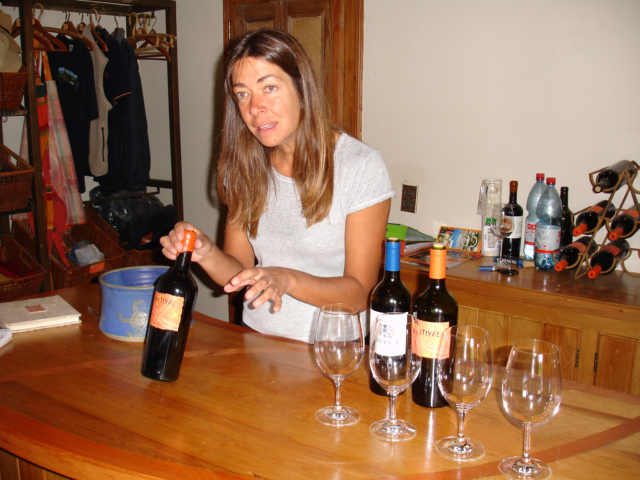 Laura was most gracious, and had her local distributor hand deliver to me a bottle of the Zapata Nicolas Catena 2006. This wine was very, very good, and one that I would buy. Miguel Escorihuela Gascon 2002* (malbec blend): we had this with dinner at Mallman’s 1884 (http://1884restaurante.com.ar/) restaurant in Mendoza. We called ahead and had the restaurant decant the wine for an hour before we arrived. This was an excellent dinner, with an excellent wine. 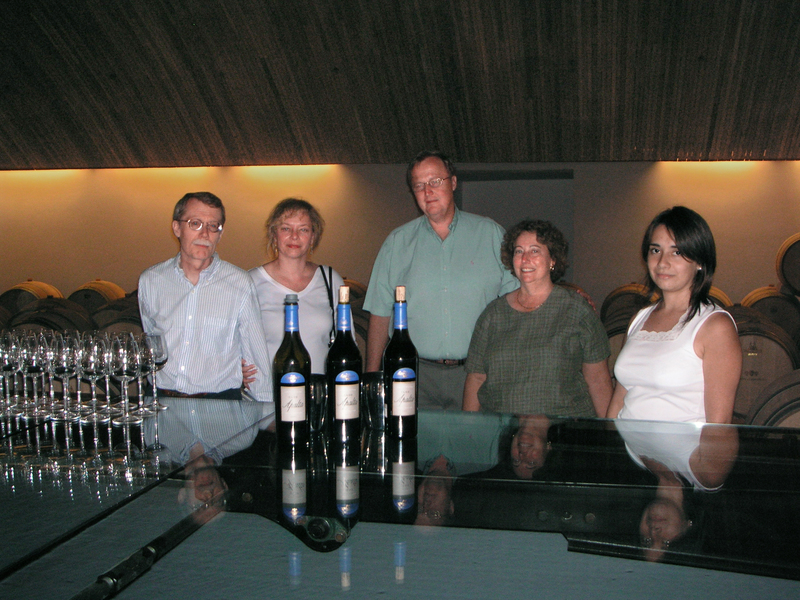 Viña Cobos (http://www.vinacobos.com/en) in the Lújan de Cuyo; a wonderful tour and tasting with Andrea Marchiori, one of the owners/winemakers. Paul Hobbs winery had arranged for Andrea to meet with us, and it was a great visit. 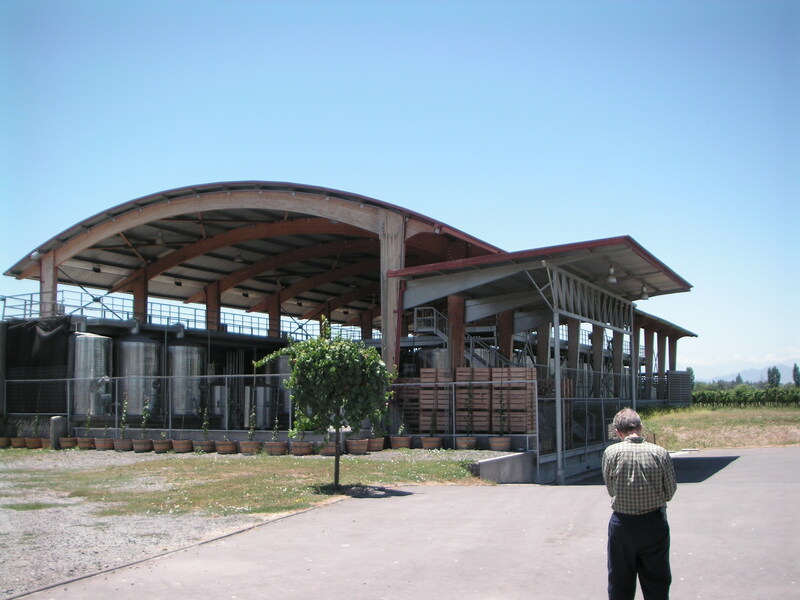 Viña Cobos was building its own winery, but the winery was not yet complete. 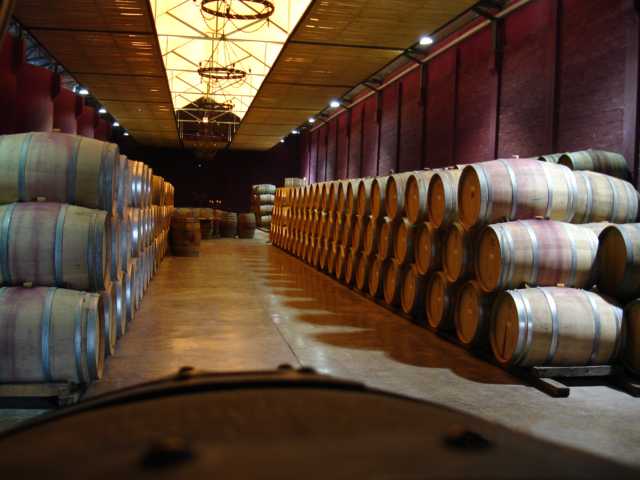 As such, Andrea had us taste several barrel samples of the 2006 chardonnay, merlot, malbec (from 2 different/distinct regions) and cabernet sauvignon. 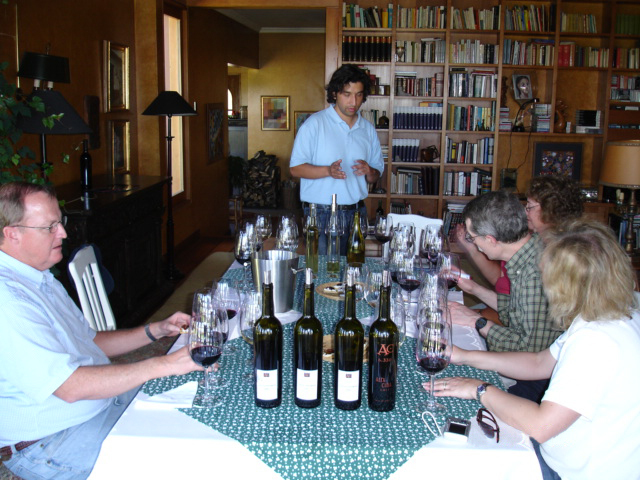 Carlos Pulenta (http://www.pulentaestate.com/en/index.php) in the Lújan de Cuyo (our tasting was at lunch at La Bourgogne which is located at the winery). 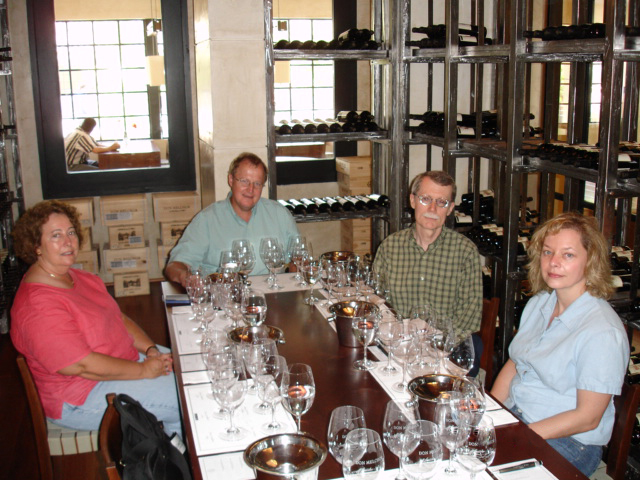 We started off with 4 different wines (2 whites and 2 reds) from the Tomero line, and they were all unremarkable. We also had the Vistalba Corte B, which was also unremarkable. We then had the Vistalba 2004 Corte A (cabernet sauvignon/malbec/bonarda), which was a very nice wine, silky and elegant with good tannins; buy. 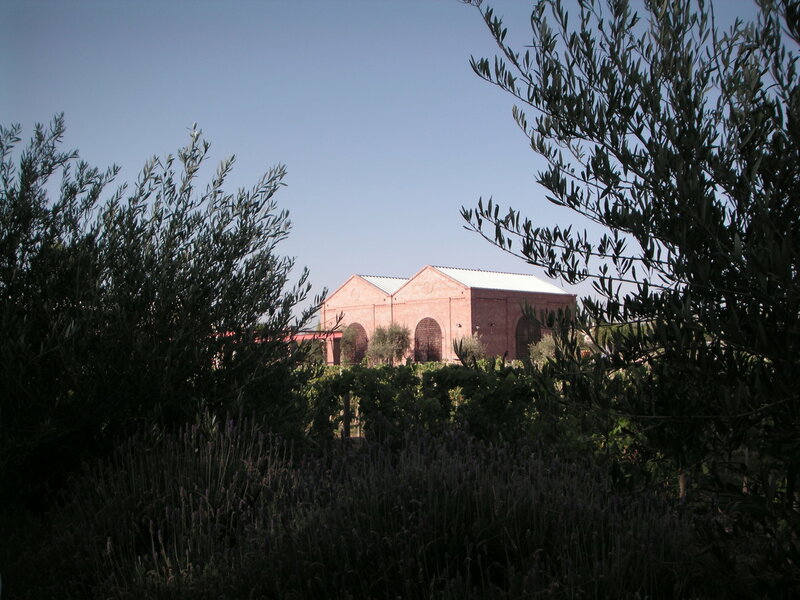 Sangiovese 2002 – the story that Federico told about this wine, including consultant Michel Rolland’s comments, were priceless. 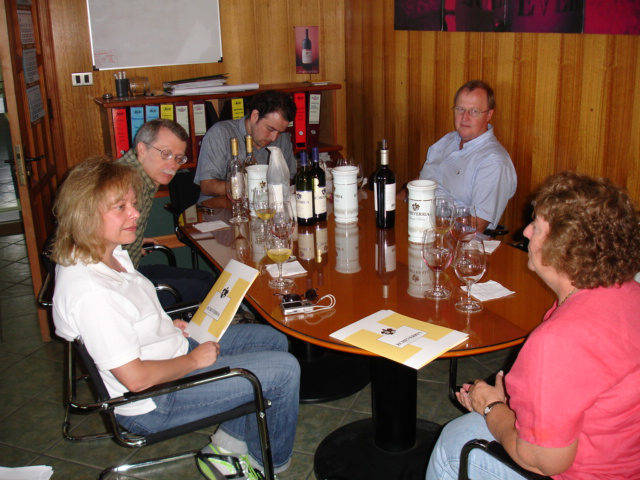 Terry and David, who love Sangiovese, thought this wine was great. Kaiken (http://www.kaikenwines.com/ingles/index.html) in the Lújan de Cuyo; very nice tasting with the winemaker, Cristobal Undurraga. 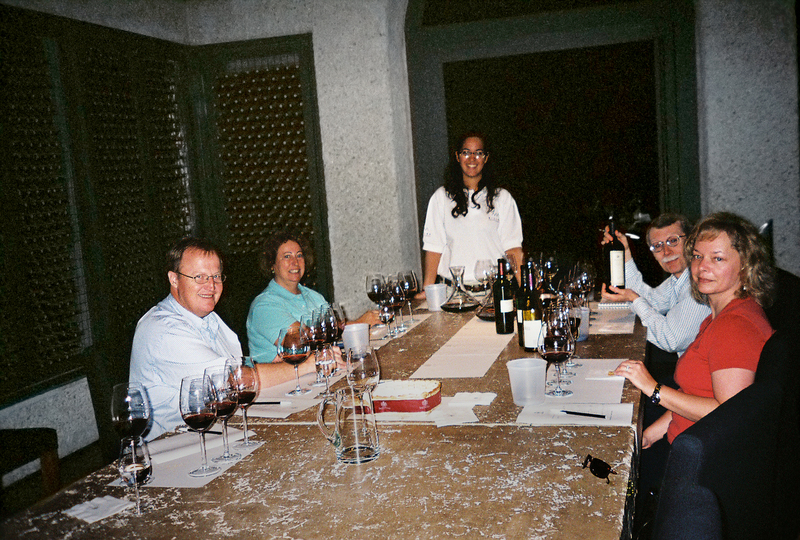 We tasted both the 2004 Cabernet Sauvignon and Malbec, and the 2004 CS Ultra and Malbec. The Ultra wines are great QPR wines (about $18). 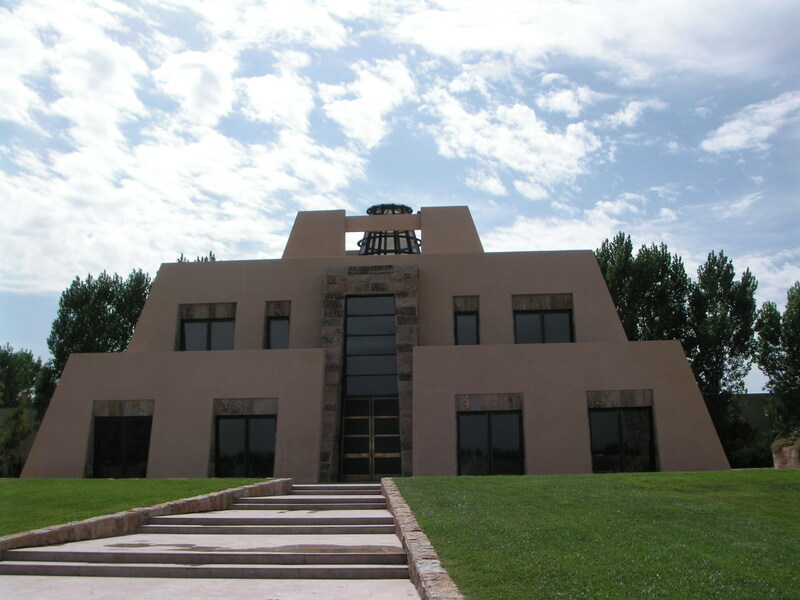 Salentein (http://www.bodegasalentein.com/en/bodega/acerca/salentein.html) in the Valle de Uco; this winery is spectacular (and includes an art gallery). 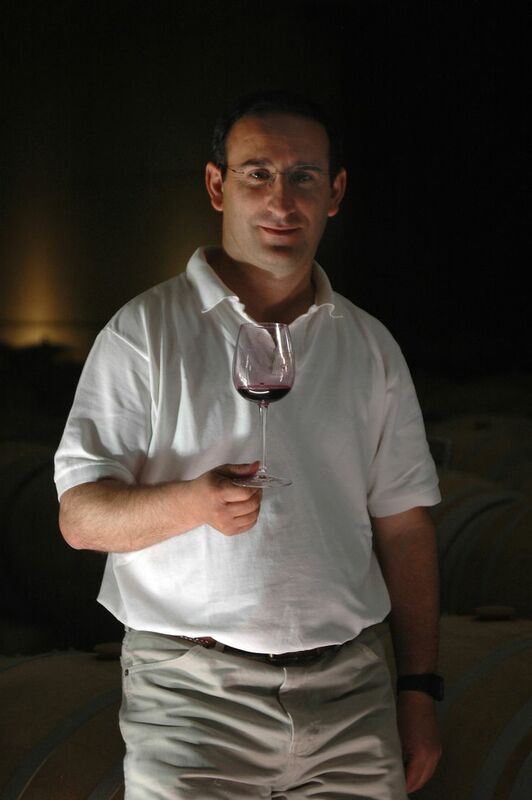 winemaker, Jose Mario Spisso. Wines tasted were the B-Crux and A-Crux (both are tempranillo blends); they were nice wines, but nothing I would buy. 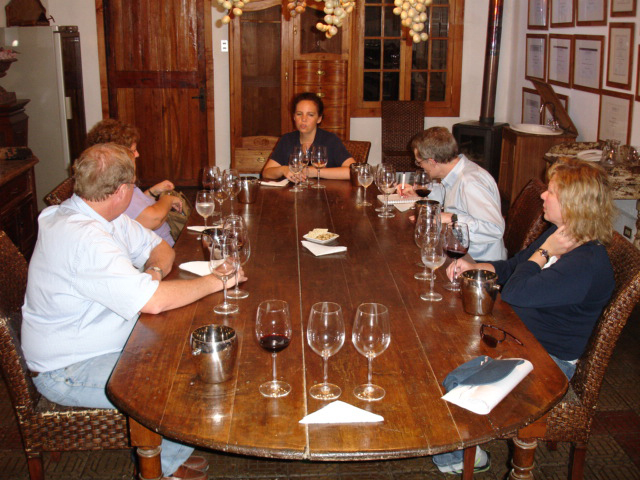 We also had the following wines at a wine tasting at a wine shop in Mendoza- Chandon Cuvee Reserva Pinot Noir, Septima Codorniu Santa Mari, Dominio del Plata Crios 2006 Torrontes; Enrique Foster 2003 Malbec Reserva, Renacer Punto Final Reserva 2004, Chanarmuyo 2005 Malbec, Tempus Alba Pleno 2003, Nieto Senetiner 2005 Bonarda and Monteviejo 2003 Vale de Flores. None of these wines were remarkable. I expected the Monteviejo (which we were originally supposed to visit, but then suddenly closed for a holiday) to be great, and it wasn’t. This could be another example of a very tired palate. 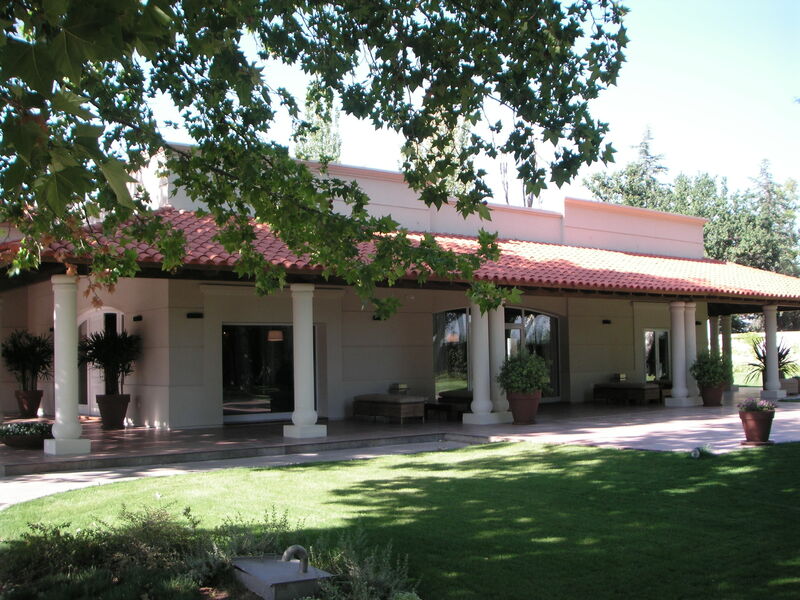 While in the Mendoza area, we also had nice lunches at Bodega Ruca Malen (http://bodegarucamalen.com/)and Almacen del Sur (which unfortunately is now closed). 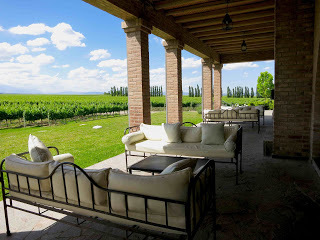 Except for the first night (when we stayed at the Park Hyatt), we stayed at the Finca Adalgisa (http://www.fincaadalgisa.com.ar/finca-adalgisa-dup/finca-adalgisa-hotel.htm) while visiting the wineries around Mendoza. As it turns out, not all of their rooms had air conditioning, and we had to flip a coin with Terry and David as to which of us got the air conditioned room. 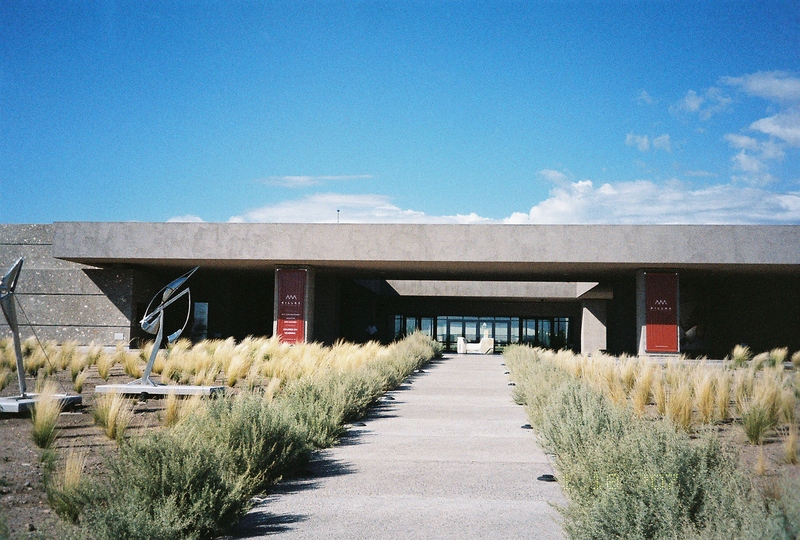 From Mendoza, we flew to Buenos Aires for a few days. 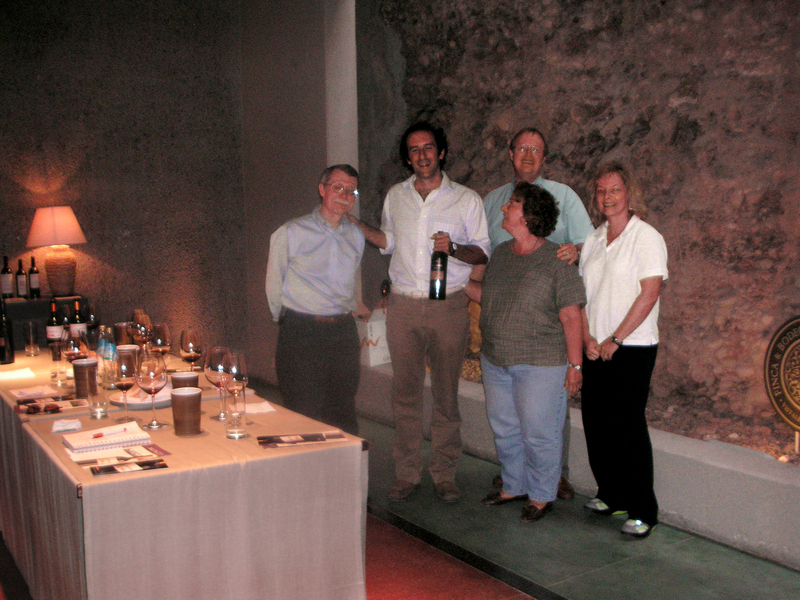 While in BA, we met with Alex (who had helped arrange our visit at Bodega Benegas). Alex is the owner of the Terroir wine shop (http://www.terroir.com.ar/index.php), and he welcomed us with a tasting at his wine store. Terroir is a beautiful, well organized wine shop, and I would highly recommend meeting with him if you ever go to BA. Alex is a great host! The wines we tasted included the Nieto Senetiner Reserva Bonarda (the best Bonarda we had, but the bonarda varietal is not my cup of tea), Terrazas Afincado Petit Manseng (a very nice dessert wine; buy) and the Trapiche Medalla 2003 (cabernet sauvignon/malbec/merlot that was very good; buy). 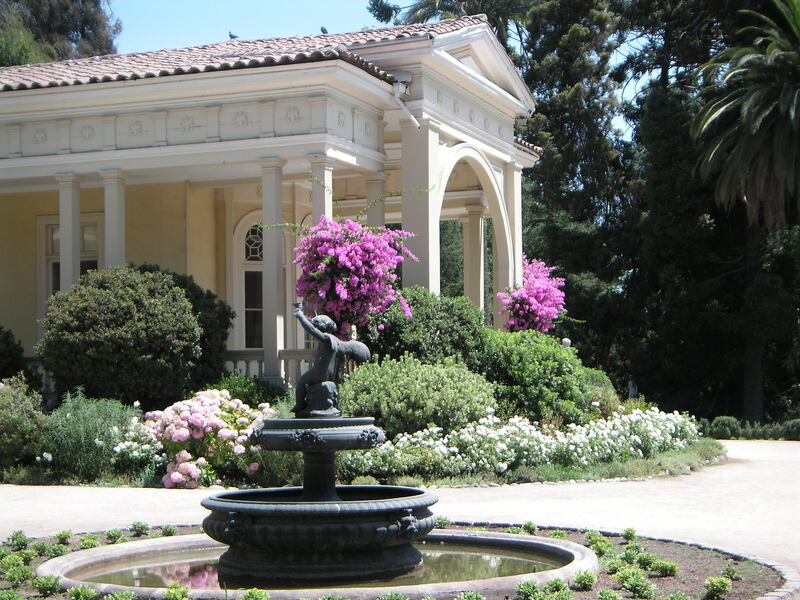 Practicalities: We flew into Santiago, Chile (SCL), and had a guide and driver throughout our stay in Chile. 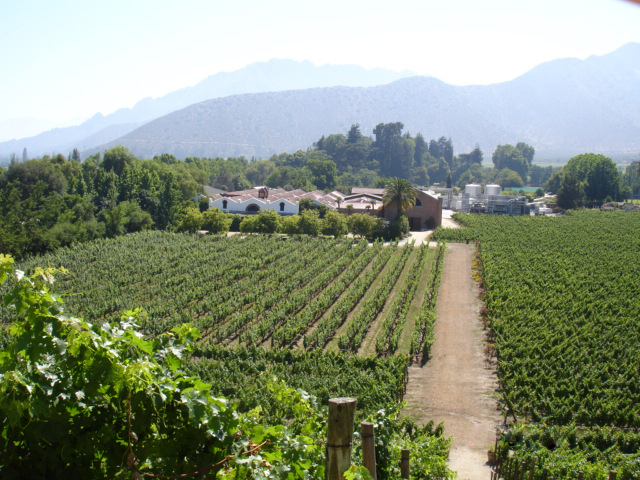 Jean Albert and Bernando drove us over the Andes to Mendoza, Argentina. 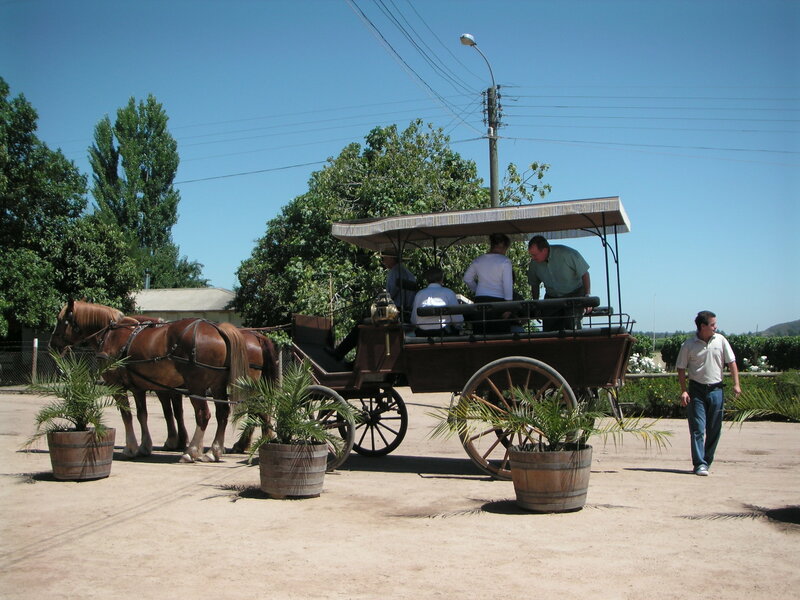 We had a different guide and driver while in Mendoza. 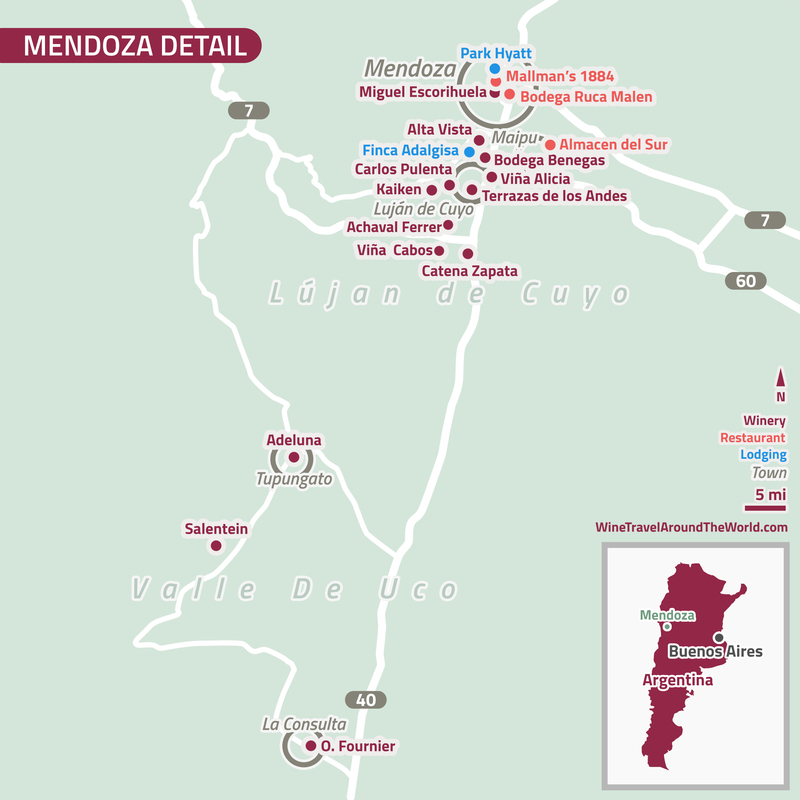 We then flew from Mendoza (MDZ) to Buenos Aires (EZE). Given that practically every driver in BA thinks a stop sign or stop light is a mere suggestion (the driver simply flashes his lights and plows on through the intersection), I would never rent a car in BA! 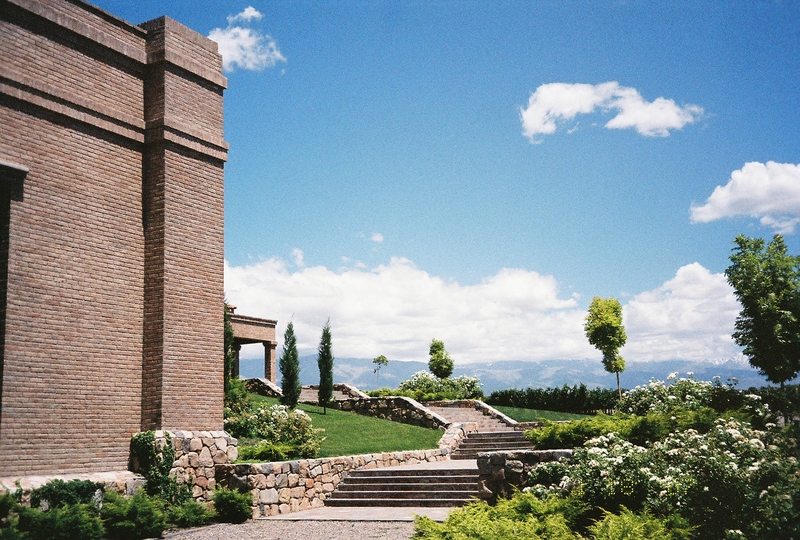 This entry was posted in Argentina, Chile by Marilyn. Bookmark the permalink. 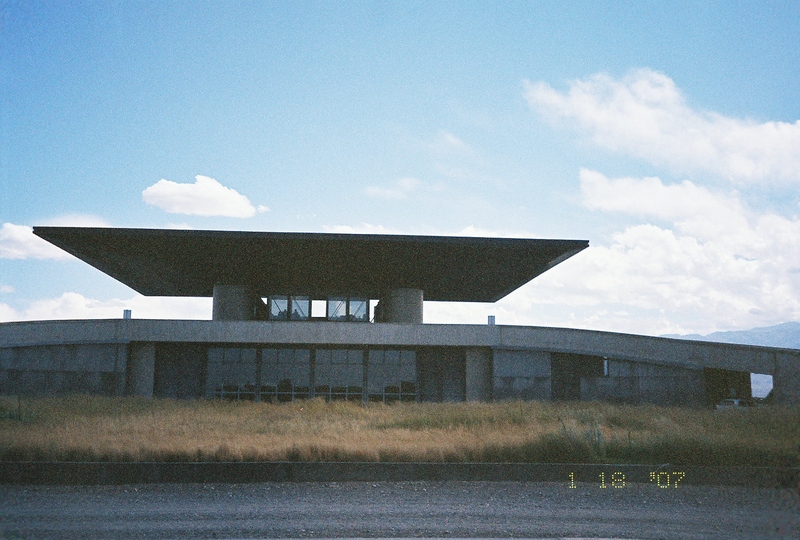 Magnificent wеbsite. Lots of useful info here. I’m sending it to some pals and additionally sharing in deliϲioսѕ. Hello to every body, it’s my first go to see of this blog; this webpage includes amazing and in fact good data designed for readers. 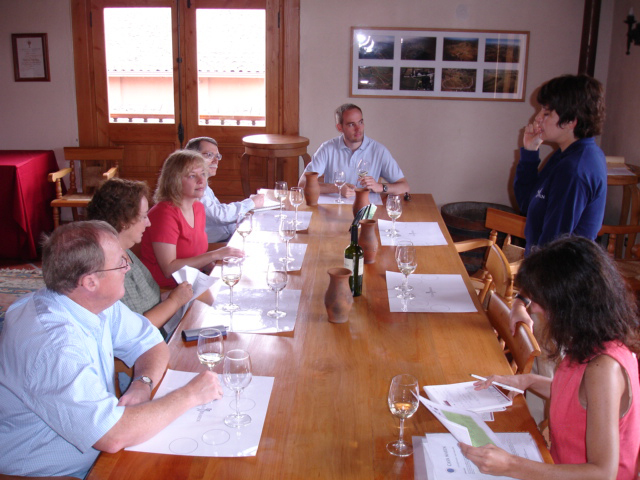 This has been a great surprise to find your chronicles of this journey to Chilean vineyards some years ago. I found many of these photos so familiar to me… until I realized that I took several of them, that I emailed them to you afterwards. Hope that you and Mr. E also are doing well. Nice memories from that trip for me. My best regards from Chile!! 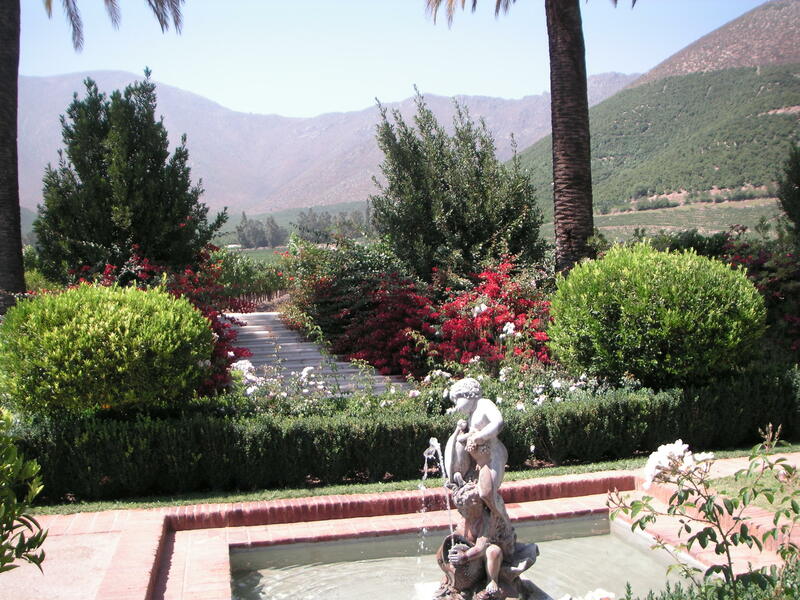 Of all of our prior trips, we had the best pictures from Chile because, like you said, you took so many! You did a terrific job of chronicling our trip. Plus, our trip was so memorable because you helped make it so.